Wants Versus Needs. Needs Vs Wants. What Do We Really Want, Need? Wants Versus Needs. Needs Vs Wants. Wants Vs Needs. Nobody Wants Me. I Need A Miracle. Is That It? Do We Need to Be Wanted? What Do We Need for Satisfaction? nobody wants me * I need a miracle * all you need is love? What Do We Really Want, Need? "Nobody wants me. Everybody wants you. I need a miracle." What do we really want, need? That's been going through my mind a lot lately. and a long way up, self-actualization. which I do think is a basic need - the need to do good. But first, I will mull around with - what do we need, on some deep level? to do some busy thing. Not much satisfaction on most of the faces around me. Almost everyone looks like some big thing is missing. or that are drowning in too much water, roots rotting. only a few with satisfaction on our faces. on the faces of people from low-tech high-religion cultures. Her kind of satisfaction is alien to me. Dissatisfaction isn't alien to me. What I feel most, though, is longing - a hunger, a longing for more. And often, I feel restless, edgy, close to anger. I see that kind of close-to-snapping look on a lot of the faces around me. Even more often (on the negative side) I see resignation, hopelessness, flatness. What to we need, want, desire, long for? When do we feel satisfaction, happiness? First, wants versus needs - how do we tell them apart? And then, does getting them met lead to satisfaction? then we say, I need a miracle. I need money fast. We're not desperate when we say, I want a job. Needs - having them met brings relief. We're underwater. We surface, gulp in air. Relief. We're lost in a blizzard. We spot a house in the distance. We knock on the door. It opens. Relief. fingers thawing, we may feel much more than relief. Satisfaction. But if there is nothing beyond the relief of need, the satisfaction isn't likely to last. back to wherever we were heading when we got lost. more peace and quiet. We want to learn something, don't want to have to do something. Want - it comes from wanting. often to do with love and lust. Dangerous desires. Endless desire. Burning desire. Dark secret desires. Fueled by desire. Shameless desire. Haunting desires. Unconscious desires. Forbidden desires. Beyond desire. We don't just want what we desire. We're caught in the drip of something more powerful. Then there is longing, yearning aching. Memories of past love, of hoped-for pleasures. Often there's a bit of resignation to longing. We often long for ... things beyond reach. around me when I'm at a mall, parking lot, airport. How does one get to satisfaction? that exists or ever has existed, except a few where the weather is idyllic. We have more things, more comfort, more access to more. Not more satisfaction. You could say - we should not want so many things. 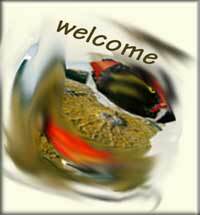 I say: much of what we want doesn't give satisfaction. Another t-shirt. Another big mac. Another cell phone, ipod, laptop. Another trip to the mall, the airport. Another trip. A bigger home. New kitchen cabinets. The want ("I want this or that") is satisfied. Often we're not. But I know that, in the long run, kitchen cabinets, highspeed, and so on don't satisfy deeply. I am going to come back to my typo - we need good (food too, but also good). It's doing good to build and reach and connect. It is good to be able to help more than we ever could. in my case a creativity and idea community. I'll leave you to your own answer. Here is mine for self satisfaction, life satisfaction. I'd say that a huge motivation in my life is satisfaction motivation. Wants Versus Needs. Needs Vs Wants. Wants Vs Needs. Nobody Wants Me. I Need A Miracle. Is That It? Do We Need to Be Wanted? What Do We Need for Satisfaction? So much dissatisfaction, sense of lack. 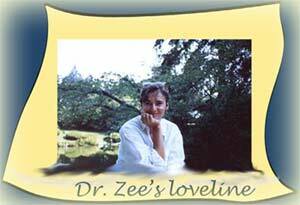 Dr Zees Loveline explores. Questions. No Answers. What is Your Answer? We Need What?